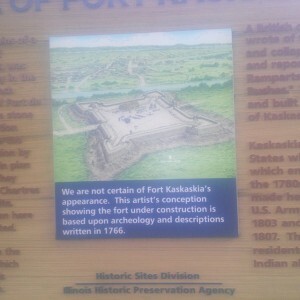 This fort was built on a high bluff over looking the village on Kaskaskia. Which in the 1700’s was on the mouth of the Kaskaskia river and the Mississippi rivers as a missionary post. The village served as the only capital of Illinois Territory in 1809-1818, and briefly (1818–1820) as the first capital of the new U.S. state of Illinois following Illinois’s admission to the Union on December 3, 1818. In 1881, during a flood, the moving water of the Mississippi “discovered” a much smaller, parallel riverbed, the mouth of the Kaskaskia. Kaskaskia’s bed was a few feet lower than the Mississippi’s bed, so the whole river shifted to the new watercourse, cutting across the head of a former oxbow to do so. 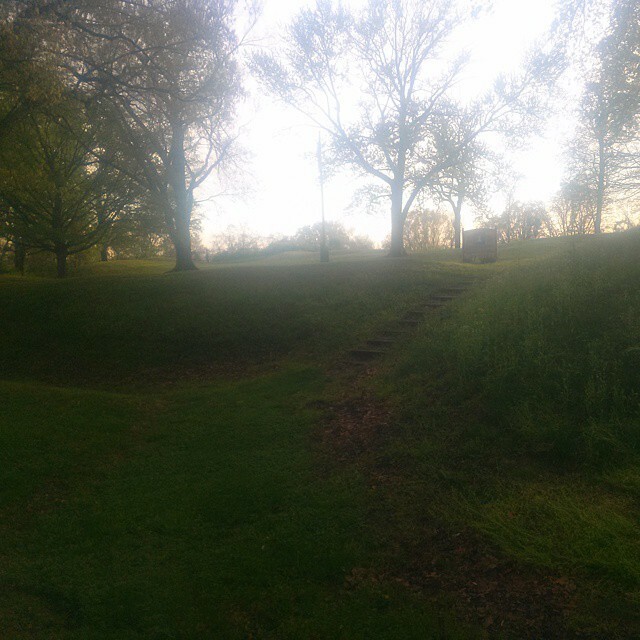 For the village of Kaskaskia, the river’s new course was disastrous. Their village had been by the waterfront of the much smaller river; now the mighty Mississippi was swallowing the town up. Even the village cemeteries were at risk. In an emergency operation, 3,000 graves of the departed of Kaskaskia were exhumed and the remains reburied atop the bluff to the east, at the site of old Fort Kaskaskia. The state of Illinois agreed to maintain the site forever as a memorial to the vanished historic village. 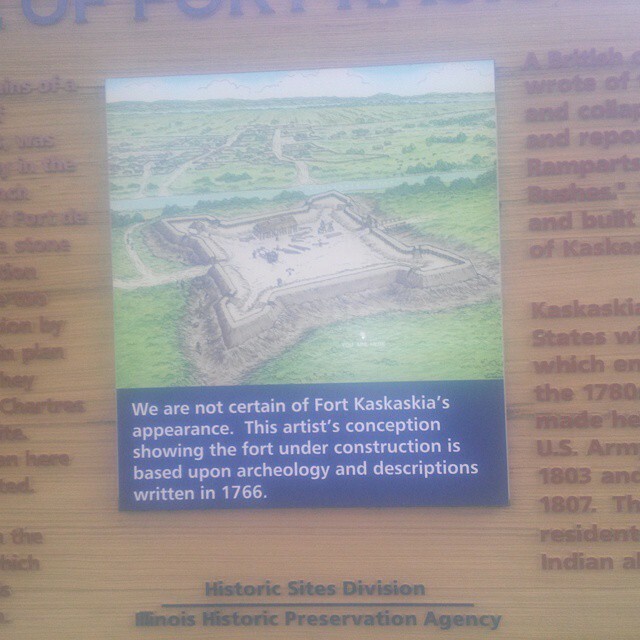 This entry was posted in Illinois Historical Sites, Illinois State Parks and Forest and tagged ExploreIllinois, french_fort, goexploreusa, historical_park, historical_state_park, illinois, state parks. Bookmark the permalink.